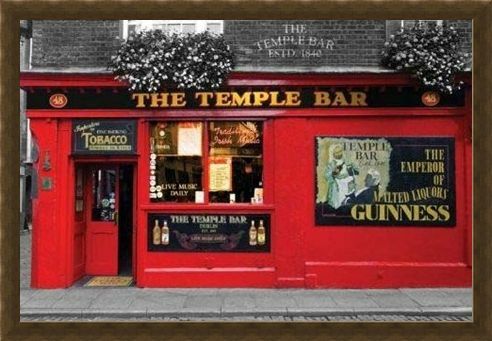 Photography Poster: Celebrating over 160 years in business is the warm and friendly 'Temple Bar' with this stunning photography poster depicting the front of this infamous pub. 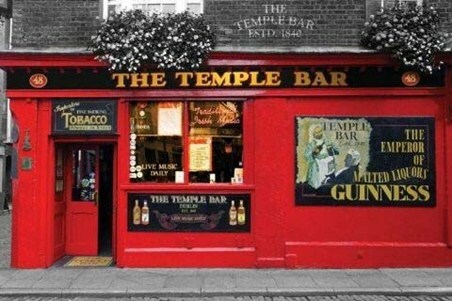 Using sensational colourlight photography, the pub's surroundings are featured in black and white with the emphasis on the colour and vibrancy of the Temple Bar itself. With original, vintage advertising signs on it's old walls, this traditional pub is proud to sell tobacco and most importantly of all in Dublin, 'Guinness'. 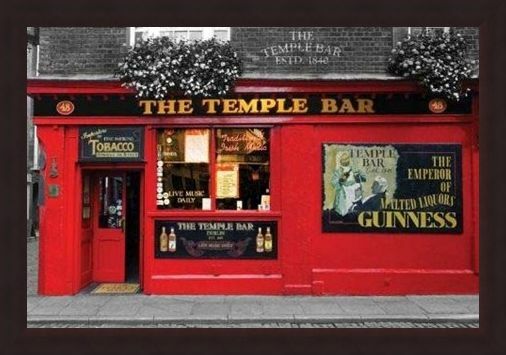 Welcome the live music, fresh food, beer garden and the 'craic' of the Irish into your home with this stunning photography poster hanging from your wall. High quality, framed The Temple Bar, Dublin poster with a bespoke frame by our custom framing service.